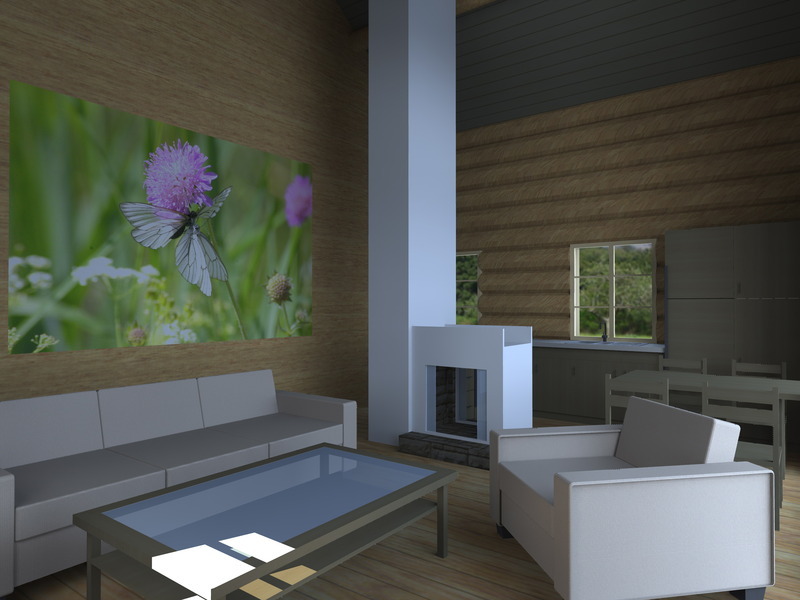 We have constructed a house for a modern young family who appreciates the beauty of secluded living, has an ecological outlook on life and does not, at present, require unnecessary luxury or space. 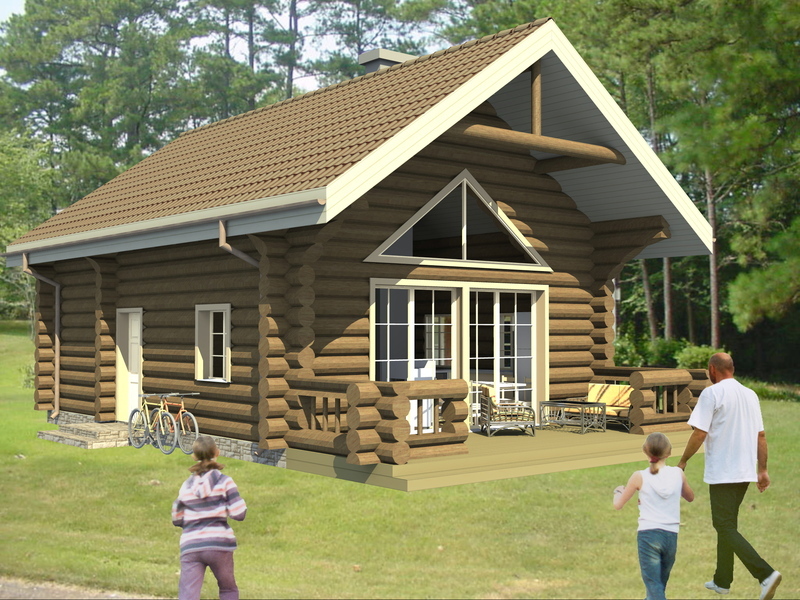 Log house Olev is a good example of a reasonably small-sized house that is still a bright, cozy, warm and comfortable home to live in. 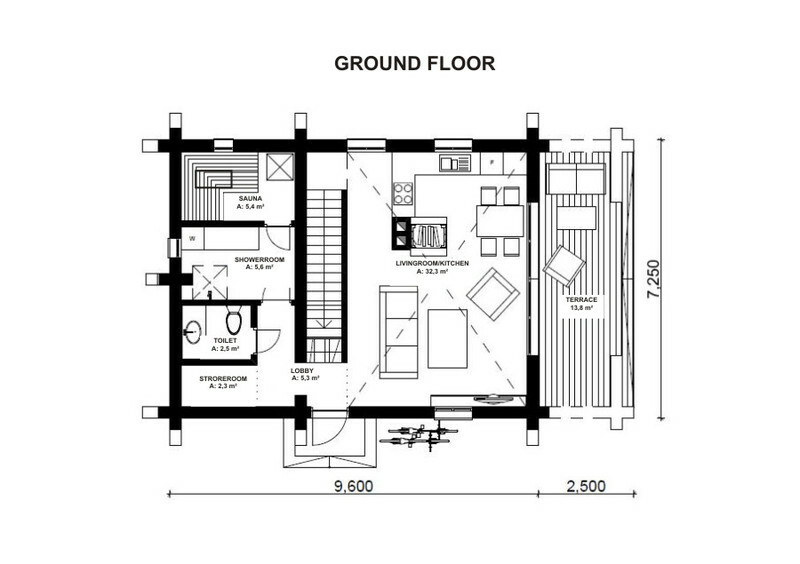 The house has two floors of which the ground floor is intended as the main living quarters and the first floor makes up an additional small room. There is also room for future developments. Why not build a sauna next to your house, set up a strawberry field behind your house or start growing eco-grapes? 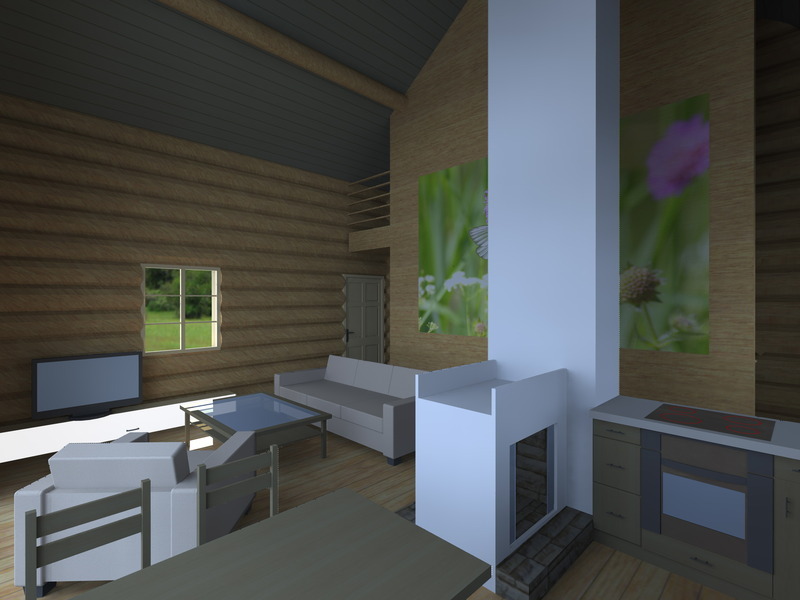 On the ground floor of log house Olev there is a bright living-room/kitchen, a bathroom, toilet, and a sauna. 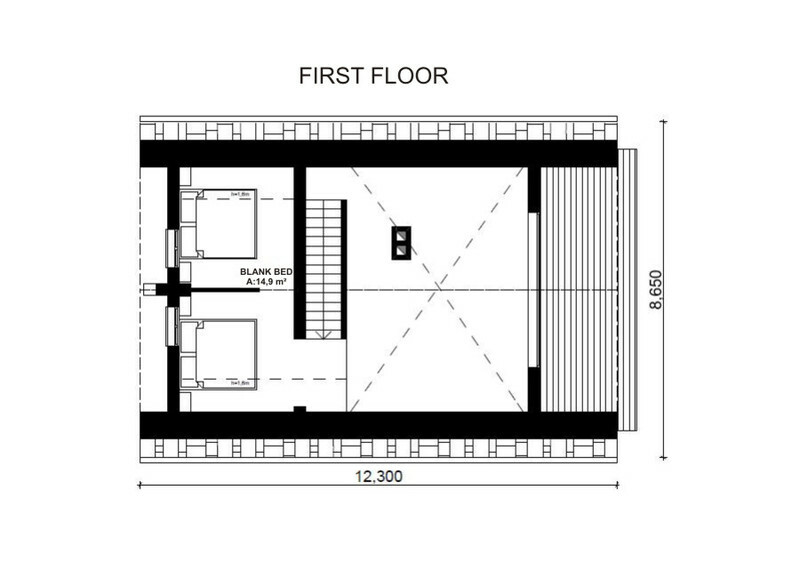 Joining the two floors there is a spacious hall, the window of which offers spectacular views of the surroundings. 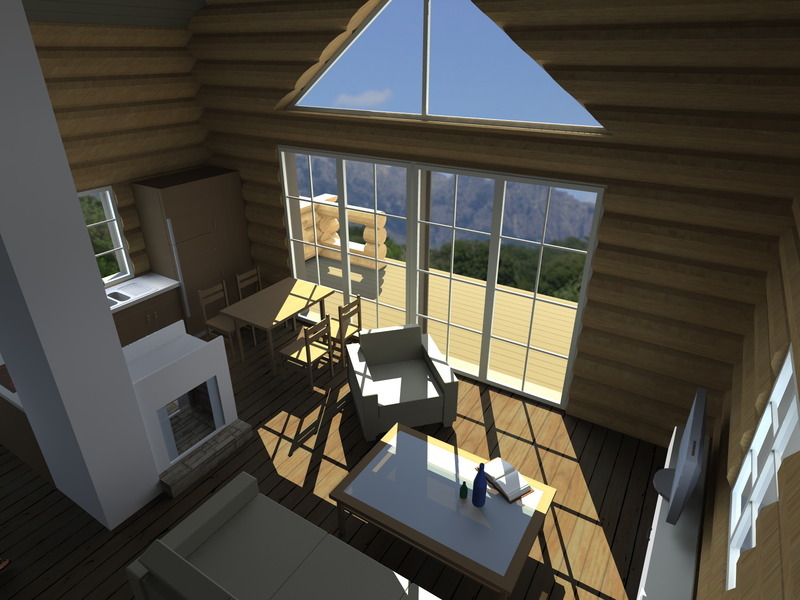 On the upper floor there is a nice plank-bed. Log house Olev comes with a pleasant terrace, where you can entertain friends who have come to visit, have pancakes on a Saturday morning or read a good book.